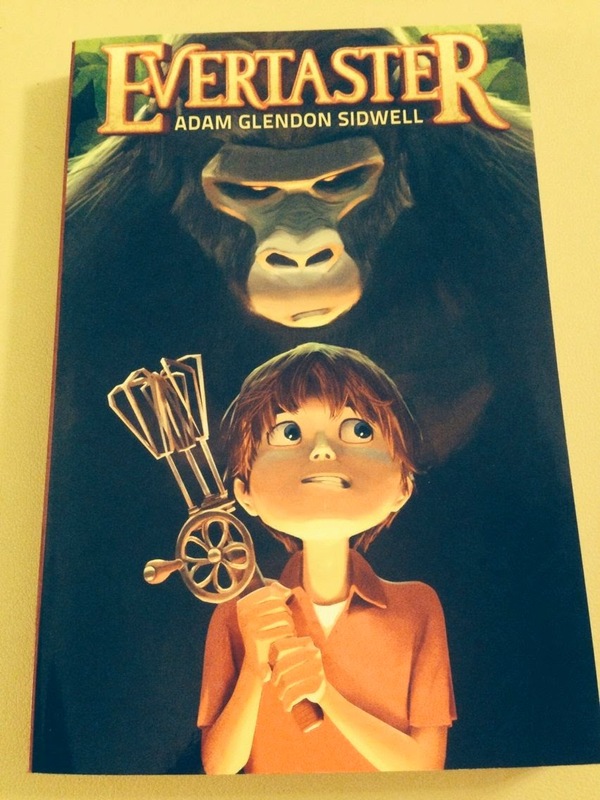 Check it out, I just got this book in the mail and I am quite excited to read it with my boys… It is called ‘Evertaster‘ by Adam Sidwell. It is a children’s novel for about age 9 and up and can be found on Amazon. 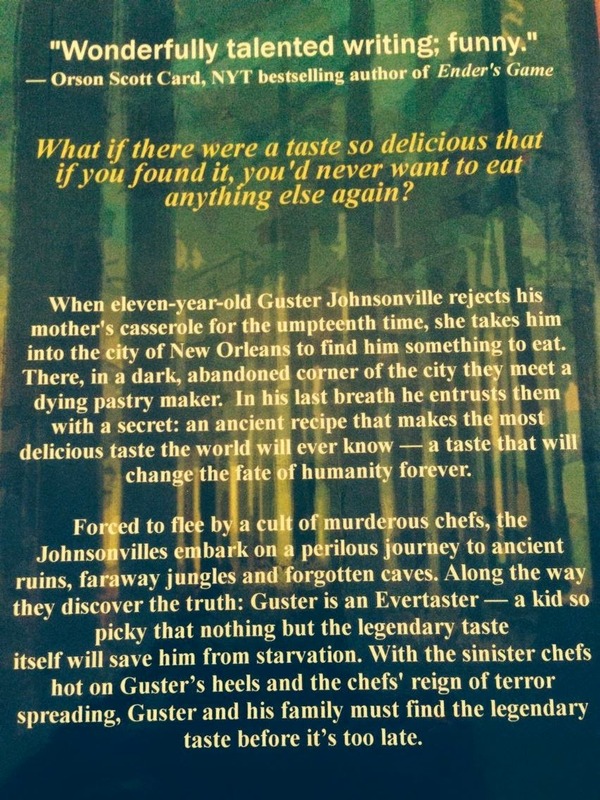 In the story, 11 year old Guster is an “Evertaster”! He can eat a single bite of carrot and tell where it was grown and what the weather was like at the time. Guster could drink a single drop of milk and tell you whether the cow was fed grain or grass and whether the cow was well treated or whether the cow was sad. Needless to say Guster was a very picky eater because every time he ate he was so overcome by thoughts and feelings about the food and it’s history that there is very little on earth that he is able to eat. His mother, in a quest to find something for her son to eat, learns of the mysterious secret recipe for the “one true food” which is so pure it will solve all his (and the world’s) problems. Guster, mom and baby sis set off on an around the world quest to find it, facing danger from evil chefs who would appropriate the recipe to bad ends. And guess what else? Adam Sidwell is making it into a series. There is now a #2 book that I have ordered and should come in later this week. The 2nd book is called “The Buttersmith’s Gold”and can be ordered by clicking here. Right now the Kindle price is only .99 – – and that is a good deal my friends. Meanwhile, you can Say hello to Adam (The Author) HERE.